Klein Sun Gallery is pleased to announce Ji Zhou: Real Illusion, the artist's second solo exhibition with the gallery, on view from June 22 through August 5, 2017. Using photography as his main medium, Beijing-based artist Ji Zhou’s most recent series of works chronicles the daily changes of light, texture, and activity within natural and urban scenes. By documenting instances of a place throughout the day and recompiling them, the circadian rhythm is collapsed creating a single atemporal image. As a result, we are presented with information that is both factual and illusory, similar to Claude Monet’s Rouen Cathedral Series (1892 - 1894) and Vincent Van Gogh’s Haystacks (1888). 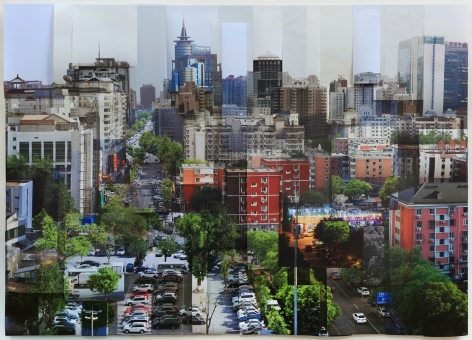 With Building 3 (2017), Ji Zhou illustrates a reconstruction of a cityscape. 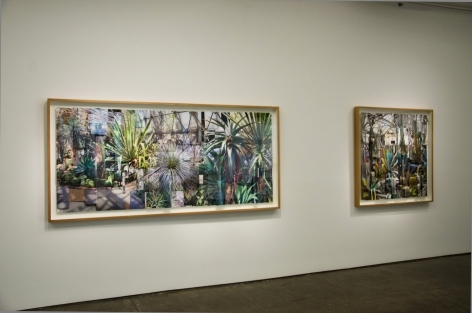 He creates a collage by overlapping images of the same scene, each portrayed under a different degree of illumination. These segments of reality form the truest illusion, which embodies the core idea that inhabits this group of work: an inspection into our methodology of observing and forming conclusive judgments upon given information. 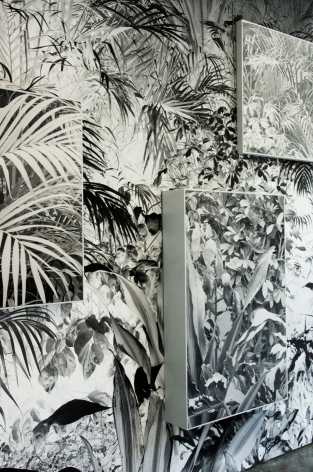 Evolved from Ji Zhou’s series Ashes (2011) - photographs of landscapes and interior scenes covered in thick ash created by an accidental fire at the artist’s studio - his current wallpaper and photo installation, Plants Covered in Dust (2016), utilizes both positives and negatives of the same image to create a juxtaposed version of black and white plants covered in soot. 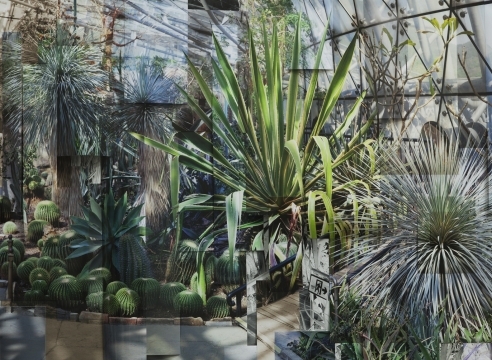 The installation challenges the audience's perception of what they are truly seeing, much like his fragmented collages. 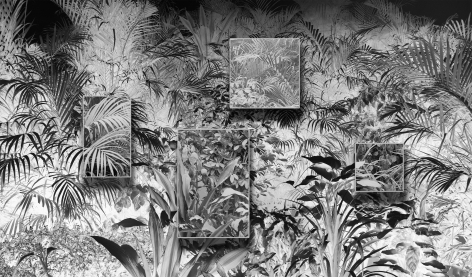 His use of framed images within the installation invites us to reexamine how we observe what we see in these crafted duplicates of the wallpaper. Through creating this reality-based illusion of our world, instead of offering an explanation, Ji Zhou raises questions for which the best possible response for the viewer is to simply leave these questions unanswered. Ji Zhou was born in Beijing, China, in 1970. He graduated with an MFA in Plastic Arts from the Panthéon-Sorbonne University in Paris, France, in 2005. His work has been exhibited around the world, including solo exhibitions Form, Space Kaan, Seoul, South Korea (2017); Civilized Landscape, Klein Sun Gallery, New York, NY (2015); Objectified Spectacle, Tang Contemporary Art, Beijing, China (2013) and In Situ, Ullens Center for Contemporary Art, Beijing, China (2008). 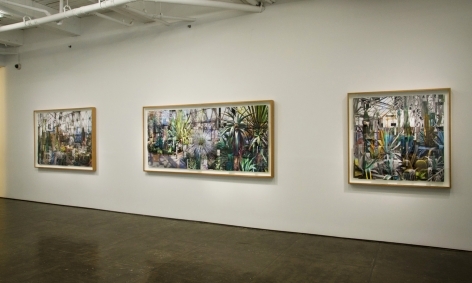 His recent group exhibitions include Imaginary Frontiers, Villa Empain - Fondation Boghossian, Brussels, Belgium (2017); Children of Hangzhou: Connecting with China, Young At Art Museum, Davie, FL (2016); Photography and Film Constructs, Ringling College of Art and Design, Sarasota, FL (2016); WALK! 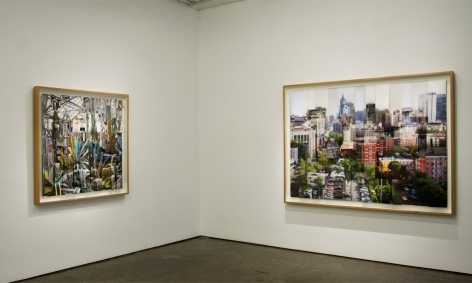 Passages: Walking in Contemporary Art, Perlman Teaching Museum, Carleton College, Northfield, MN (2016); Another Landscape, Yang Art Museum, Beijing, China (2016); Real/Unreal, The First edition of Changjiang International Photography & Video Biennale, Chongqing Changjiang Museum of Contemporary Art, China (2015); The Persistence of Images, Redtory Art and Culture Organization, Guangzhou, China (2015); The 2nd Three Shadows Experimental Image Open Exhibition, Three Shadows Photography Art Centre, Beijing, China (2015); The 9th Shanghai Biennale, China (2013); Retrospection & Deviation, Times Art Museum Beijing, China (2011); Rendez-vous 09, Institut d'Art Contemporain, Villeurbanne, France (2009) and 55 Days in Valencia. Chinese Art Meeting, Institut Valencia d’Art Modern, Valencia, Spain (2008). For press inquiries please contact Nicole Aiello at the gallery (212.255.4388) or via email at nicole@kleinsungallery.com. 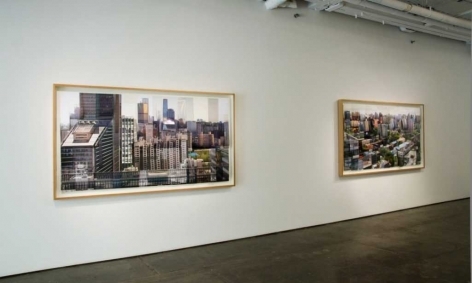 For all other inquiries, please contact Phil Cai at the gallery (212.255.4388) or via email at phil@kleinsungallery.com. 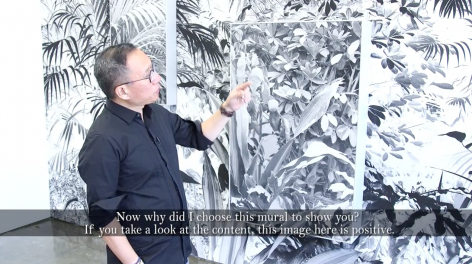 Sinovision interviews Ji Zhou about his solo exhibition "Real Illusion". 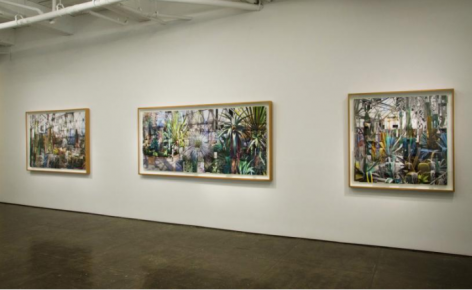 Contemporary Arts Magazine "This is Tomorrow" reviews Ji Zhou's solo exhibtiion at Klein Sun Gallery. 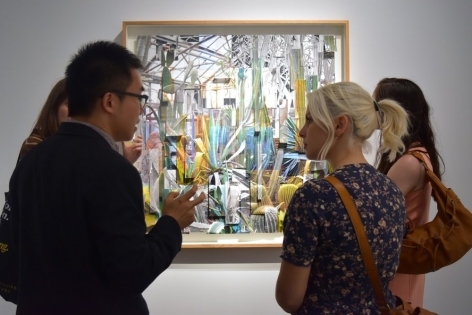 Wall Street International featues Ji Zhou's show "Real Illusion". Bllouin Artinfo features Ji Zhou's solo show "Real Illusion". Digitial quarterly magazine dedciated to featuring emerging artists features Ji Zhou's solo exhibition "Real Illusion". Arts and Fashion platform FGUK features Ji Zhou's solo exhibition "Real Illusion" at the gallery.